One of my favorite movies was The Truman Show, I thought that the plot was quite good, but also enjoyed seeing the new urbanist city Seaside Florida, the movie setting. Anyway Oliver Hangl, the artistic director of the Vienna Complaining Choir among many other artistic projects, is doing a project this week called Kino im Kopf: Die Truman Show where the audience rides through Vienna on a streetcar (they have headphones for the soundtrack) and people on the street act out scenes from The Truman Show movie. Oliver needed extras so, along with many members of the Complaining Choir helped out. We worked at Lancaster Square (actually the Josefstadterstrasse U-Bahn – Tram stop). Here’s a photo of the people on the tram enjoying our performance. 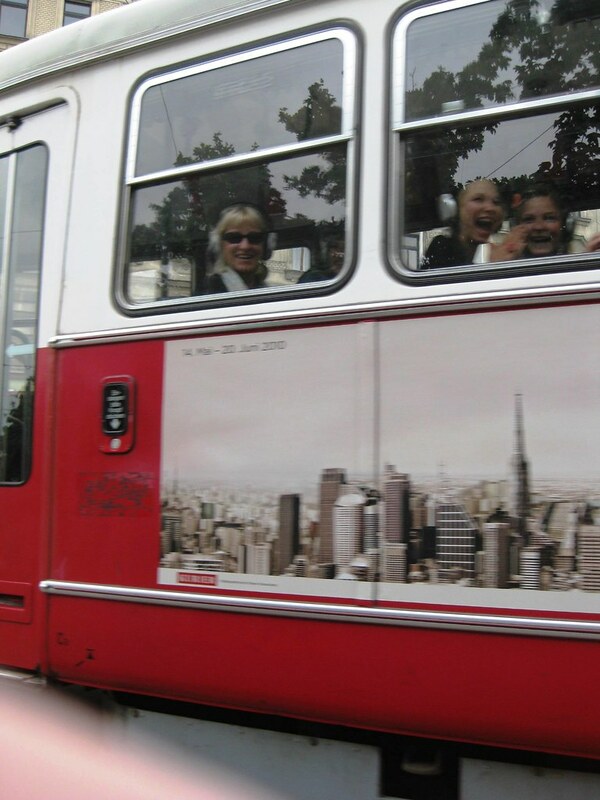 Our job was to bend down and hold our ears for the 15-seconds while the tram went by. (I had the camera balanced on my leg and just shot, so it’s out of focus). More photos are on my flickr site tagged Truman Show Vienna. EXTRA: We helped out throughout the week and on Saturday we were in the audience on the tram. The show was great and I took more photos which are also on the flickr site. 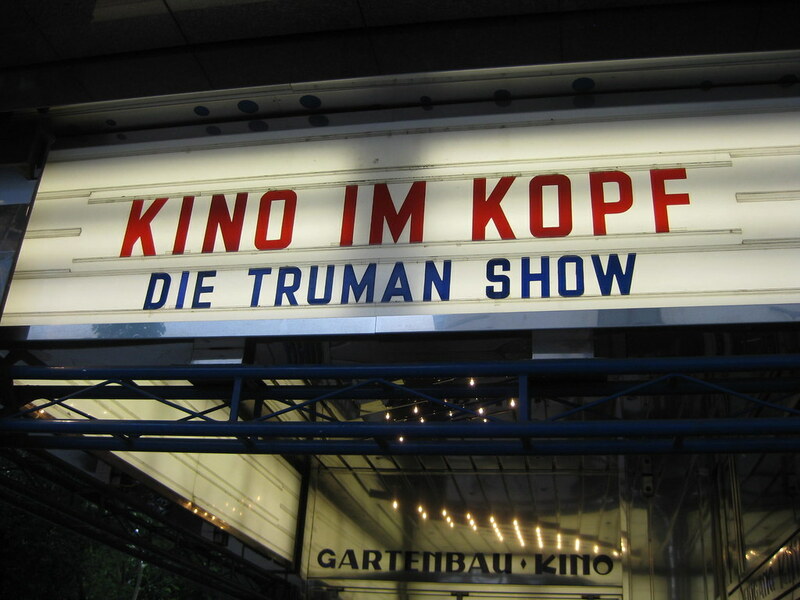 It’s going on until Saturday 26 June 2010, highly recommended if you are in Vienna! I missed it. Until semester end, on the 26th, pretty much everything but text books went by like that tram. Great picture, I like the blurriness! Thanks, it was great fun to participate in community street theater. Vienna is a great place for all kinds of art!